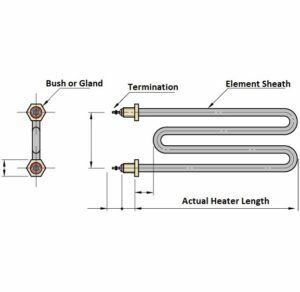 Heating elements are not always easy to design, especially if you don’t have a sample, or you are developing a new product. We would always recommend you coming in to our office so we can discuss your heating needs in person, however because this is not always possible, we need a little more information over the phone or via email. 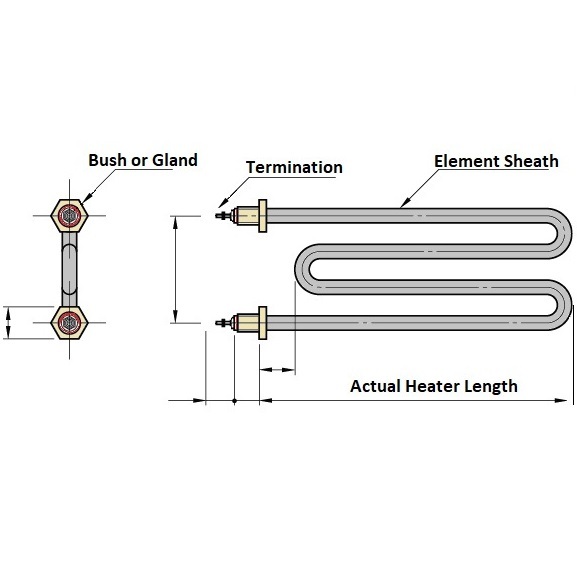 The drawing to the left shows some of the different aspects of a heating element that we may ask you about, whether you are having an element made or requesting a quote. Often we will need to know what equipment the element will be working in, so we can get a better understanding of the environment and adjust the element materials to suit. 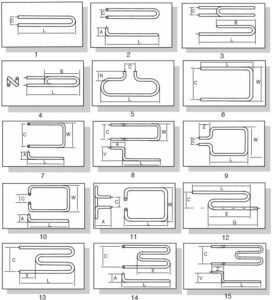 To bend up an element, we will need certain exact measurements depending on your needs. 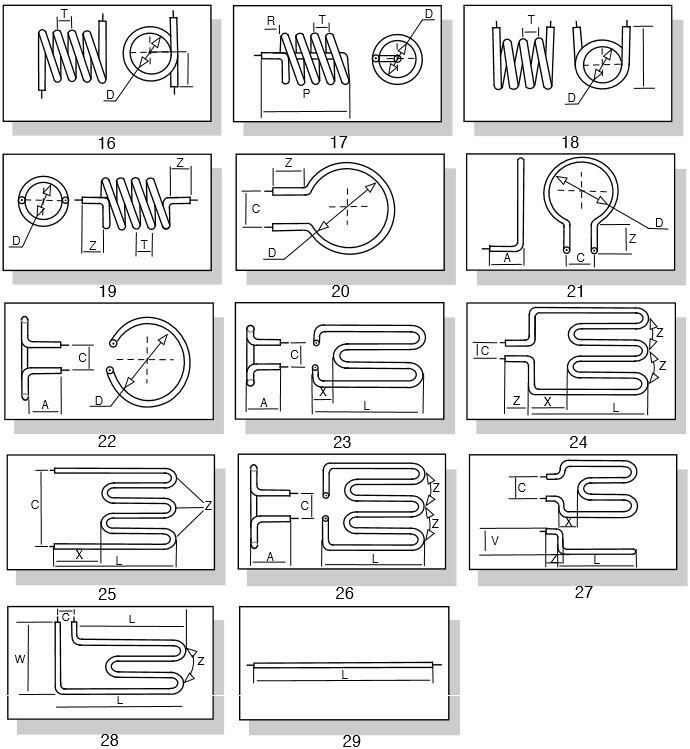 The sample drawings below are the more common shaped heating elements. 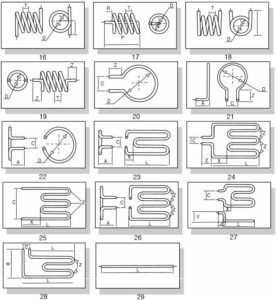 These drawings may help you in determining the measurements you require when asking for a quote or ordering your heating element. Please click on the drawing you are interested in to get a clearer view. When you speak to our sales staff, please quote the number directly below the drawing box. We can then take your unique measurements and place them in reference against each important angle of the element. 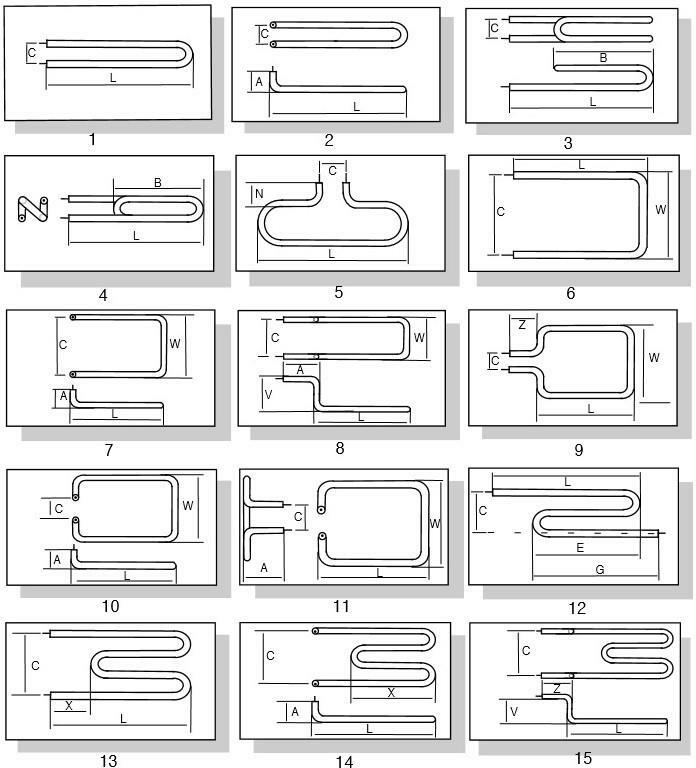 The more information we have the more precise your element will be designed and manufactured. Need more information? Call our friendly staff today.